Maggie James was a new author for me when I read His Kidnapper's Shoes and I am so pleased to have discovered her as you are guaranteed to have an intensely gripping and high quality read in your hands. Don't just take my word for it - Maggie is certainly becoming a firm favourite among readers judging by the many 5 star reviews on Amazon. There's no happy ending for 16 year old Jessie Golden when she goes missing one evening. Her body is found in one of her mother's rental properties, leaving her sister, Lori, and mother, Dana, devastated. As the family come to terms with Jessie's death they become suspicious of each other - often people are murdered by those known to them and with Dana's partner, Jake, and his son, Spencer, acting suspiciously Lori can't help but think that one of them knows more about Jessie's death than he is willing to let on. Who can Lori trust? 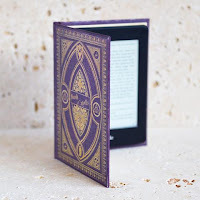 There are so many characters acting suspiciously, each withholding their own delicious secret, that you will never be able to isolate which one holds the key to Jessie's murder. As a pyromaniac targets Dana's properties, she fears that Jessie's murder is retribution for something she did in her past. And we all know that the past does come back to haunt you! As it becomes clear that the fires, and Jessie's death, are something personal, it's only a matter of time before the murderer shows their hand. After She's Gone is a no holds barred account of an imploding family coming to terms with their grief. Each character's thoughts and feelings are impeccably described and we feel their hurt, anger, despair and fear in every page. The character of Lori was my absolute favourite - she has to deal with so many feelings from sibling rivalry and jealousy to complete devastation whilst still trying to hold her fractured family together. 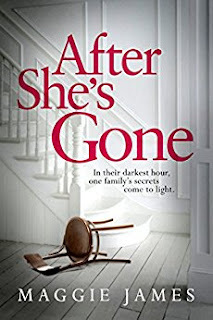 After She's Gone is another fantastic page turner from Maggie James that gets inside your head and stays there. A recommended must read from me!